Eggs are an essential food. They’re used in baking to bind ingredients together and add structure. They can be poached, scrambled, boiled, or fried. Try them in omelets, casseroles, or quiches. Eggs have a mild flavor and a creamy texture that can be combined with almost any other ingredient, such as meats and vegetables. Eggs are a nutrition power house. One egg contains 6 grams of protein, which is necessary for building muscle and providing energy. Eggs are a good source of choline, which builds healthy cells. 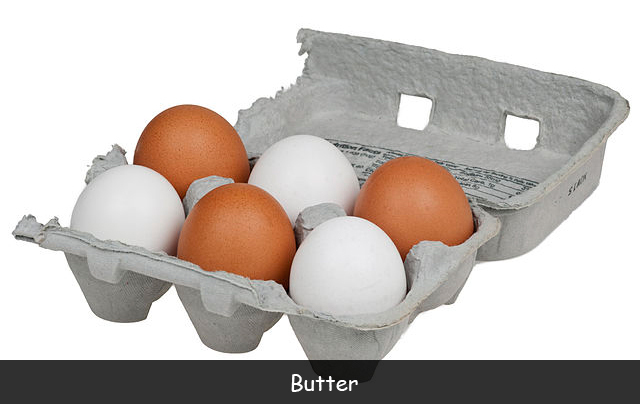 Eggs contain all 9 essential amino acids and they’re gluten and sugar-free. Eggs are cheap. One serving typically costs about 17 cent. Hens need only 24 hours to develop an egg. The longer the days, the more likely they will lay an egg. During the winter, hens lay fewer eggs. Like hard-boiled eggs? Older eggs are easier to peel. Another tip is to add ¼ teaspoon baking soda to the boiling water. The baking soda makes the shells brittle. A carton of eggs labeled “cage-free” doesn’t mean the hens live in a field. In most cases, the hens still live in cages – the cages are just larger. All eggs are hormone free whether a package is labeled “hormone free” or not. Young hens lay eggs with thicker shells than those laid by older hens. Dark-orange to red yolks indicate a higher-quality egg than those with pale yellow yolks. Question: When did people first eat eggs? Answer: People probably began raiding nests in the wild thousands of years ago. Birds were first tamed and raised for their eggs in Asia about 9,000 years ago. Visit The Incredible Egg to learn lots of interesting facts and tips about eggs. Watch a video about eggs.